Gary Glen Hall, age 65, of Elizabethtown passed away on Wednesday, October 24, 2018. He is preceded in death by his parents: Gordon Worth Hall and Annie Simmons Hall, one daughter: Jeannie H. McLemore, one brother: Gordon W. Hall Jr., and two sisters: Peggy Honeycutt and Dorothy (Dot) Bundels. 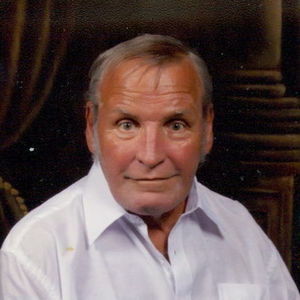 Gary is survived by his wife: Dona M. Hall of the home, two sons: Glen Hall and wife Tory of Elizabethtown; David Hall and wife Angela of Fayetteville; one brother: Calvin Carl Hall and wife Tammy of Bladenboro; two sisters: Barbara Cartrette and husband Mitchell and Bertha (Tenny) Blackwell and husband Norman, both of Columbus Co.; eight grandchildren and two great grandchildren. Gary loved his family and his wife. He was a good, honest, hardworking man who was a friend to all. Gary was a good listener and would do anything to help others in need. He enjoyed spending time with his two dogs: Runt and Buddy. Gary will surely be missed. The family will receive friends from 10-11:00 am on Saturday, October 27th at Bladen Gaskins Funeral Home in Elizabethtown followed by a funeral service at 11:00 am with Rev. Roger Mitchell officiating. Burial will follow the services in the Cashwell Cemetery in Bladenboro.